I am looking for either a frame & forks or a complete bike. Any condition considered, I know its a long shot as these dont tend to come up that often, but you never know! Thanks. what size frame are you after?, I have a large soens frame, white with crome plating. Sorry im only just replying, haven't been on for a few days. Well, I suppose it depends on sizing, I would definitley be interested if it's around the right size for me. Im, about 5'10'', 5'11''. Would it maybe be possible to grab a few measurements from the frame? Hi Sean, I will get my tape measure out tomorrow and let you know the sizes. Thanks for sending me through the sizes. Just too big for me im afraid. Thanks for thr reply though, much appreciated. Last edited by flash on Mon Jun 11, 2012 7:06 pm, edited 1 time in total. 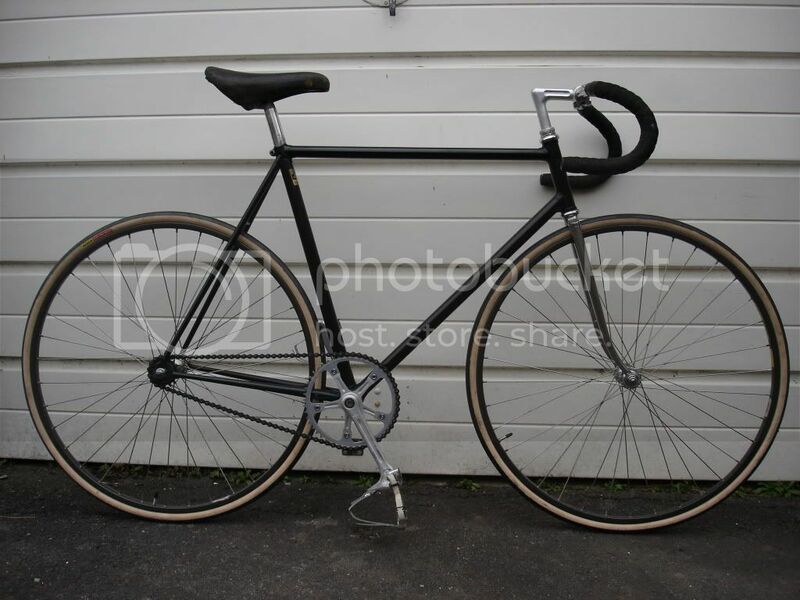 Thnaks for the offer but im after a geared bike, already got a fixed gear. Cheers anyway. Nice and rare, and the rear spacing will take a six speed freewheel.